Before I have this incredibly difficult conversation with Marvel, let me get something straight. I am, and always will be, a defender of superhero movies. You’ll never see me writing a thinkpiece about how the genre is decaying, or how all of these movies are the same. In fact, I found Captain America: The Winter Soldier to be not just the greatest superhero film of the past decade, but one of the greatest films in any genre. At their best, these movies are absolutely monumental, and Marvel has been at the eye of this hurricane of quality for quite some time. Nobody had more faith than me in directors Joe and Anthony Russo (who return from Winter Soldier) to take on Civil War, perhaps the most emotionally dense and powerful Marvel story. Which is why as I drove home from my energetic, cheer-filled screening, it took me about an hour to realize just how let down this movie made me feel. The film picks up with the events of the cataclysmic Sokovia battle from Age of Ultron still fresh in everyone’s mind. Even so, Steve Rogers (Chris Evans), Sam Wilson (Anthony Mackie), Natasha Romanoff (Scarlett Johanson), and Wanda Maximoff (Elizabeth Olson) are still carrying out Avengers missions. That is until a disastrous mistake by Wanda causes a deadly building explosion. Now, the government wants to get involved, putting forth a new law called the Sokovia Accords, that would only allow superheroes to act under government supervision. 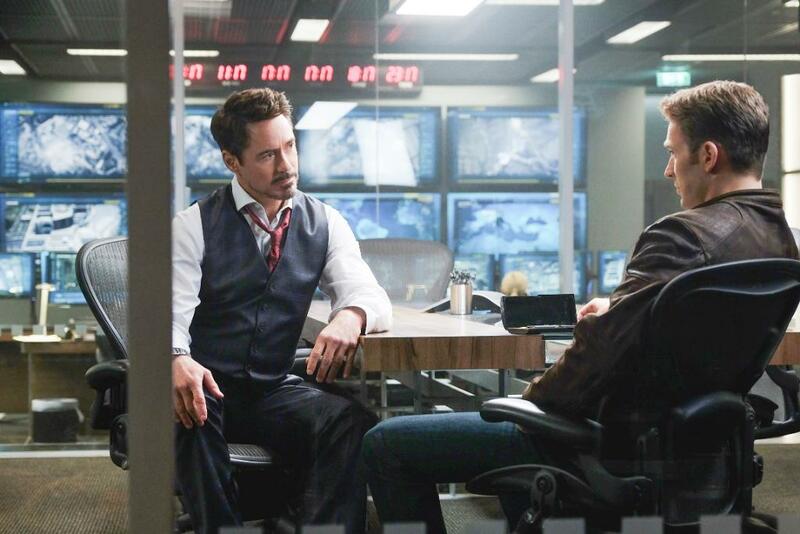 At the forefront of this new order is none other than Tony Stark (Robert Downey Jr.), which starts to create great tension between not only those two, but all of The Avengers as they start to choose sides. Meanwhile, Rogers’s quest to find Bucky Barnes (Sebastian Stan) finally comes to a head, as he finds himself acting outside the law in order to help him. This makes him a fugitive from not only the government, but from T’Challa (Chadwick Boseman), a prince/warrior from a country called Wakanda, who believes that Bucky murdered his father. This is a movie that much like its characters splits itself between two identities. One is a carefree summer blockbuster, and the other is a legitimate film that is trying to tell a real story. As a blockbuster, the film largely succeeds. 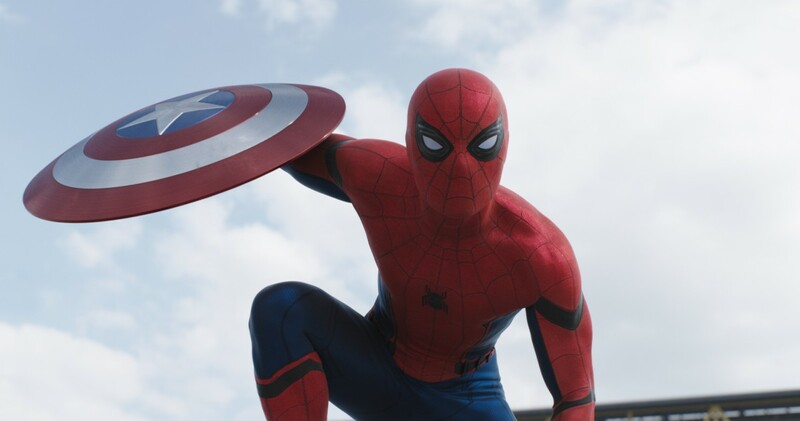 In many ways, this is the closest Marvel has come yet to recapturing the childlike energy of The Avengers. The Russo Brothers showed a keen eye for action last time around, and here they get to take that eye to the next level with plenty of new toys to play with. 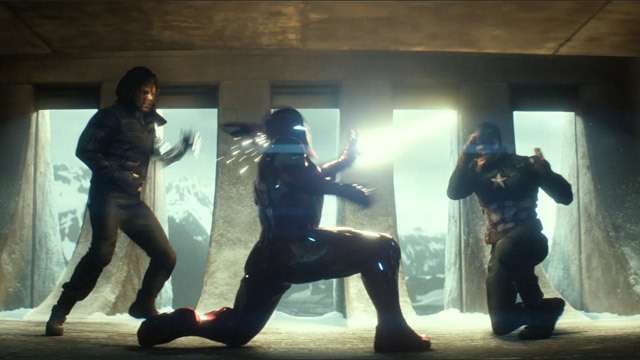 We still get a bit the very Bourne-like chases and close quarter scuffles of Winter Soldier, but the real centerpiece here is an incredible mid-film rumble between all of our favorite characters. If you’re a superhero fan, there’s no way to over-hype this scene, and on its own terms, it’s one of the coolest comic book set-pieces ever put on film. It certainly helps that Paul Rudd’s Ant-Man and a brand spanking new Spider-Man played with geeky (if slightly grating) charm by Tom Holland are essentially thrown into the film just to pump this sequence up. For many, this will be worth the price of admission alone, and I cannot blame anybody in the slightest for that. However, the film falls incredibly short both in the execution of the story and the tone. This was supposed to be the film that breaks the entire Marvel universe, but so rarely actually goes to the places that promise suggests. In fact, the majority of the movie is very light on its feet and more concerned with getting us to the next action sequence or joke than with giving us something to chew on. The conflicts that arise between these characters for the most part just feel so jovial and cartoonish that it’s impossible to take things seriously. Sure, these people are friends, but that should be the most painful part of this whole thing, not the most fun. In fact, the film is so light on story that you could almost forget there is one if you’re not paying attention. Sure, we’ve got a threatening villain pulling the strings in Baron Zemo (who is chillingly played by Daniel Bruhl), but he so rarely appears that he essentially comes off as an extra. For the most part, the cast seems to be on autopilot here. Evans frankly looks a little bored, as Steve is borderline uninvested in anything but his friendship with Bucky the whole time, which makes his rift with Stark fall incredibly flat. The supporting players are basically all hitting one note; Mackie, Holland, Renner and Rudd are the quippers, while Don Cheadle, Johansson and Olsen are the more dour sticks in the mud. These aren’t characters; they’re action figures (especially the two bug men). Only two performances really stand out from the pack. 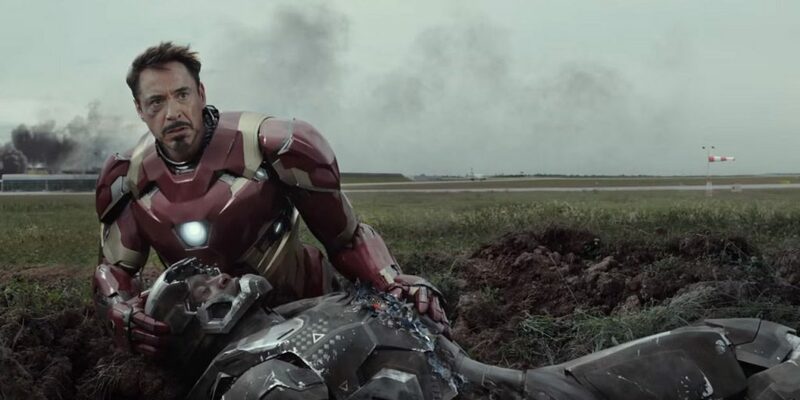 Downey Jr. gives us his most vulnerable turn as Tony Stark yet, really playing into the pain that this conflict makes him feel. Problem is, he’s only in about a third of the movie, as it is a Captain America movie after all, making the moral quandary feel incredibly one sided. The other is Boseman, who introduces us to an incredible character in his Black Panther. This is an excellently skilled warrior unconcerned with the politics and friendships of everybody else, solely concerned with avenging his father and protecting his kingdom. However, what does it say about the movie that the character most identifiable is the one that does not care about what is going on in the story? Most annoyingly, the little darkness that does rear its head in the film ends up being a complete smoke and mirrors act. This movie is so toothless that you’ll probably pay for your ticket in a paper cup on the side of the road. When it finally decides to become the emotional story it should have been the entire time in the last fifteen minutes, it chickens out of delivering a legitimate emotional gut punch. Everything just fizzes to a stop, essentially losing all of the momentum that it builds up just by the sheer force of its energy. However, it’s so concerned with keeping everything in line for future movies that it ultimately takes no risks, and I’m just about done giving rewards for that. 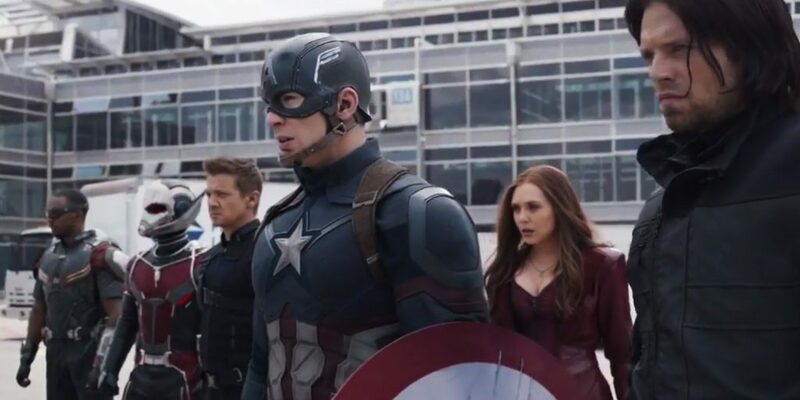 Captain America: Civil War is in many ways a well assembled summer movie. The action and humor really sing, and the film goes at such a fast pace that its flaws simply may not matter to some. I genuinely wish I could be one of those people, but this time, I just can’t. This was the film that was supposed to change everything, and it changes absolutely nothing. It only occasionally will bring out the human touch that makes for the best of the Marvel films, which is borderline unforgivable in a story that was so clearly supposed to be fueled by emotion. Ultimately, this is the movie that feels like it was made by the directors of You, Me, and Dupree. Going into the film I was emphatically team Cap; now I’m team nobody. Editor’s Note: Due to the overwhelming response to this review, comments are temporarily closed. We take comment moderation seriously and will be going through each comment to ensure it does not violate our Comment Policy. Editor’s Note #2: We re-opened the comments section. Please read and respect our Comment Policy. Thank you. Editor’s Note #3: We published a letter to our readers.